6 5/8″(Φ168mm) Two Stage Cementing Collar tool mainly consists of two-stage coupling , first-stage plug,shut-off baffle, free-fall opening plug and closing plug. It structure as below drawing. 1.Excessive injection of cement at one shot. 2. The formation cannot bear the gigantic fluid pressure. 4. Avoid the occurrence of annual air channeling after the cementing job. 5. The considerable temperature difference between the upper and lower section makes it rather difficult to adjust the slurry performance. 1. It uses the inner-closing structure and the locking device on the closing sleeve, the lock is reliable after the closing. 2. The liquid would not occur in the loculum when opening or closing. 3. The ID. of upper/lower sub should be the same as that of casing, it can protect the stage collar from damaging when the bits going down and doing the drill-out operation. 4. 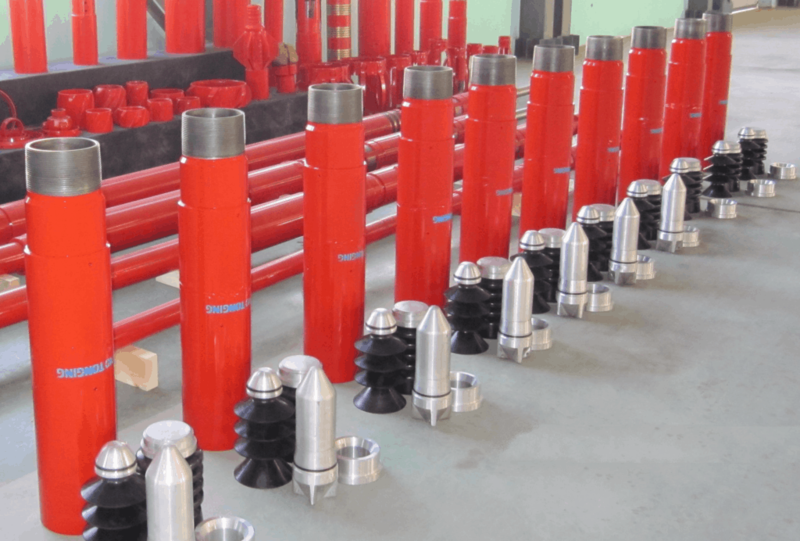 All the accessories are made in the drillable rubber or aluminum material.They have the function of anti-rotation ,it can make the drillout easy. 5. You can use the pumping-down plug to carry out the continuous process. 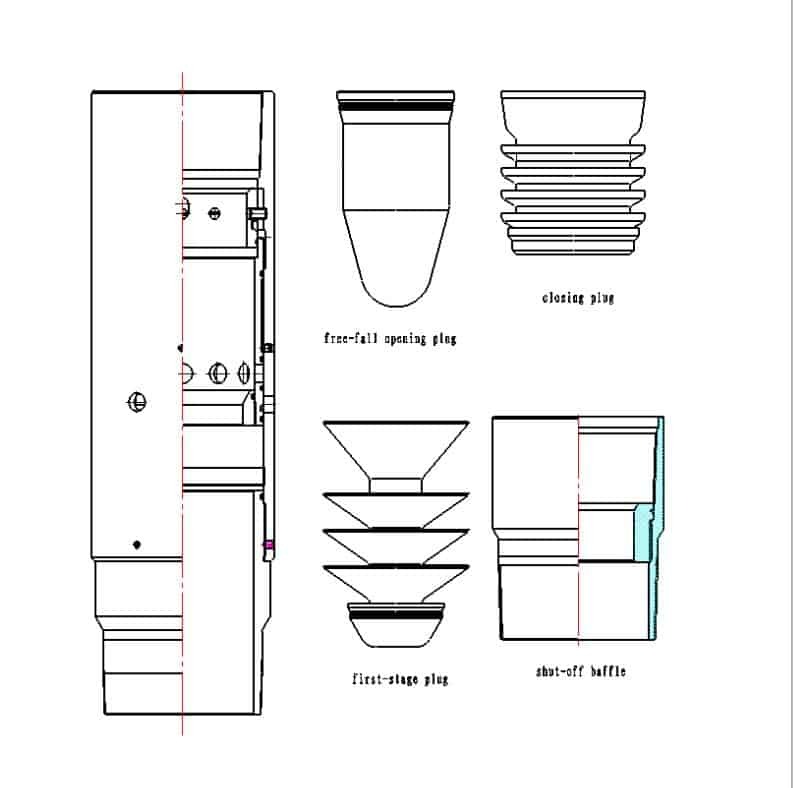 If you need more details,such as price,USER’S MANUAL, Operation procedures of mechanical two stage collar,welcome contact us.